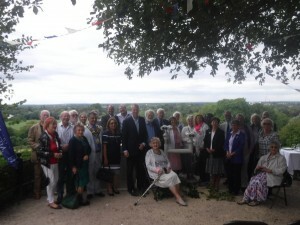 On Thursday 6th September the Thames Landscape Strategy opened a new telescope on Richmond Hill. 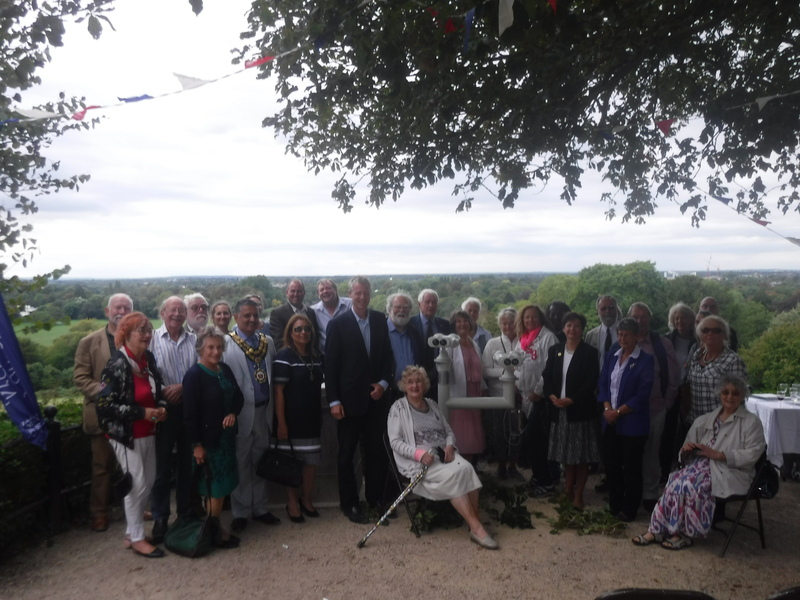 The Mayor for Richmond upon Thames Cllr Ben Khosa, Pat Spaight, Zac Goldsmith and Ellen LeCompt unveiled the telescope in the traditional Thames Landscape Strategy manner by the cutting a garland of ivy picked from Richmond Hill. The telescope has been made possible by the London Borough of Richmond Civic Pride Fund and LBRuT Parks who funded the installation. It replaces a telescope that was stolen in 2015 funded by Richmond Hill resident and long standing Secretary of the Richmond Society Pat Spaight in memory of her late husband – Air Commodore Robin Spaight. The coin free telescope consists to 2 binoculars set at different heights offering an enhanced opportunity to explore the view.